Brexit crash wiped out a record $3 trillion. Now what? A record $3 trillion was wiped out from global markets on Friday and Monday. That means more money was vaporized as a result of the Brexit crash than in any previous two-day period ever, according to S&P Dow Jones Indices. Friday's losses of $2.1 trillion were already the heaviest suffered in a single market day, eclipsing the $1.9 trillion that was erased on September 29, 2008 when the U.S. Congress infamously voted down the Wall Street bailout. The larger losses in the Brexit rout partly reflect the fact that markets are retreating from higher levels these days. The Brexit pain deepened on Monday as the Dow slumped another 300 points and European stock markets shed 2% or more. The dramatic market reaction is a reflection of the deep uncertainties caused by the U.K. referendum to leave the European Union, which completely caught investors off guard. 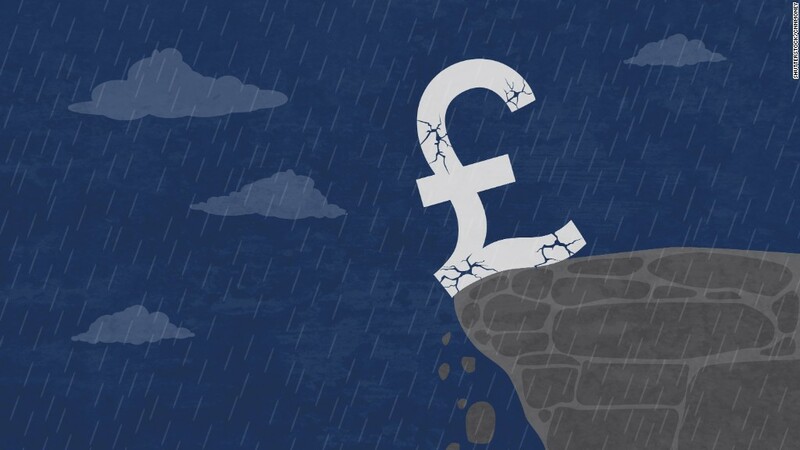 "Brexit is an immensely complicated problem with effects on the political, economic and financial environment," David Kelly, chief global strategist at JPMorgan Funds, wrote in a note on Monday. All of this leaves investors asking: What next? Here's a rundown of what markets are bracing for in the months ahead. More turbulence: The "only sure bet" is that market volatility is likely to remain elevated, according to Ed Yardeni, president of Yardeni Research. The VIX volatility index on Monday rose to the highest level since markets bottomed in mid-February. More volatility makes sense because Brexit raises vexing questions about the future of the European integration experiment. The answers to those questions pose far-reaching consequences for markets. The other issue is the gigantic losses in certain asset classes -- like the British pound crashing 12% in just two days or Barclays (BCS) losing one-third of its value -- inflict pain that tends to spread elsewhere. "Volatility begets volatility," Michael Block, chief strategist at Rhino Trading Partners, wrote. These events "cluster together and feed on each other." Rush to safe havens: The Brexit turmoil has sent investors fleeing to the safety of government bonds and precious metals. Just look at how the 10-year Treasury yield plunged to 1.46% on Monday, creeping closer to the record low of 1.38% set in July 2012. Bond yields in Germany, Switzerland and Japan ventured even further into subzero territory. Investors are also rushing to gold, which tends to do well during times of financial stress. The precious metal spiked 5% on Friday and, despite cooling off a bit on Monday, remains near two-year highs. Easy money to stay easy: The Brexit turmoil further lowers the odds that the U.S. Federal Reserve can raise interest rates this summer. This week RBC Capital Markets pushed back its forecast for the next Fed hike until mid-2017, a dramatic reversal considering many anticipated four increases this year alone. Markets usually cheer easy money, but the enthusiasm for extremely low rates is definitely waning. Instead, many investors are more concerned about the unintended consequences of emergency moves like negative interest rates and the limited tools remaining in central bankers' tool kits. Related: Brexit: Is this like the 2008 crisis? Banks getting battered: No sector has been crushed by the Brexit vote like large European banks. London-based Barclays plunged another 21% on Monday, while Royal Bank of Scotland (RBS) dropped 14%. It's a reflection of concerns about the ability of London-based banks to continue to operate across the entire EU without applying for additional permits. U.S. banks are also getting rocked, though not to the same degree. Citigroup and Morgan Stanley are down 12% and 15%, respectively since Thursday's close. Not only do big U.S. banks have significant exposure to London, but they are being rattled by the market turmoil and diminished hopes for a rate hike. Higher rates would have made it easier for banks to make a profit. Best house in a bad neighborhood? Despite the challenges facing U.S. banks, some believe all the trouble in the U.K. and Europe more broadly underscores the relative attractiveness of American stocks. The U.S. economy still seems to be chugging along and will likely look even better on a comparative basis if the U.K. slips into recession. "We remain bullish on the U.S.," Yardeni wrote. He believes the S&P 500 could zoom 2,300 by mid-2017, up 15% from Monday's level of around 1,994. Yardeni and others are skeptical that Brexit will fuel an all-out global recession like the one sparked by the 2008 meltdown. "While it is a big splash for the U.K., it should be, in the end, a small ripple for the global economy," Kelly wrote. "Investors who can take advantage of the overreaction of other investors may well be able to profit from Britain's self-inflicted wound."